Lynn and Narine added 91 in 8.2 overs as KKR stormed to an eight-wicket win with 37 balls left. 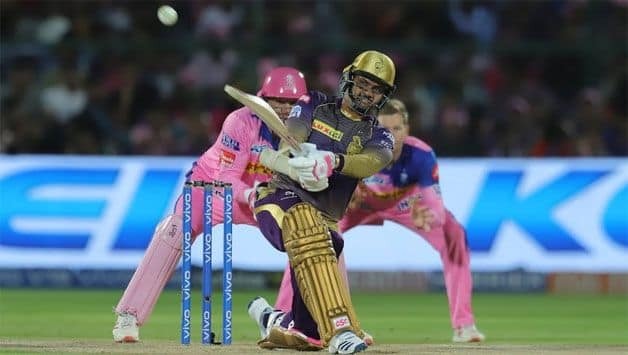 After Lynn took a couple of boundaries off Dhawal Kulkarni to get KKR off and running, Narine’s assault on Krishnappa Gowtham – in which the offspinner conceded 22 runs – laid the platform. 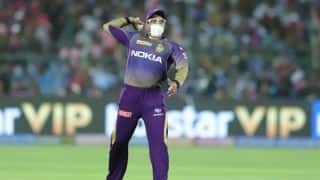 KKR had the chance to send back Narine when the batsman skied Kulkarni into the night sky, but Rahul Tripathi made a mess of the chance and Narine lived. Narine was effective with his slog sweeps and waded anything that was short. 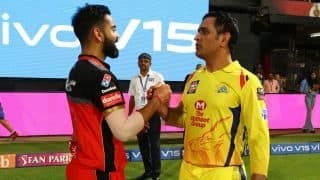 Luck simply did not shine on Rajasthan. Adding to Narine’s chance, Chris Lynn played on a delivery from Kulkarni, but the bowler’s joy was short lived as the bails were not dislodged. Lynn added insult to injury by sending the next ball for a four towards midwicket, and shortly after, nailed a six over long-on to bring up the fifty. 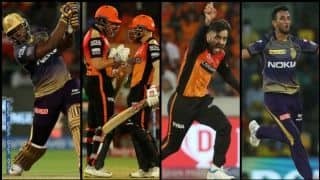 By the Powerplay, KKR had raced to 65 without loss, the season’s second best score and a stark contrast to Rajasthan’s 28 for 1. 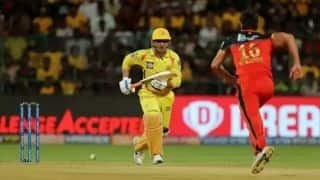 Narine was equally brutal on debutant Sudhesan Midhun, taking smoking him for two sixes in three balls, but three short of his fifty, Narine edged Shreyas Gopal to slips. KKR’s search for a second wicket did not extend as Lynn, having completed his fifty became Gopal’s second wicket. But by then, all Uthappa and Gill‘s roles were merely restricted to completing the formalities. Andre Russell was not even needed in KKR’s fourth win of the season. 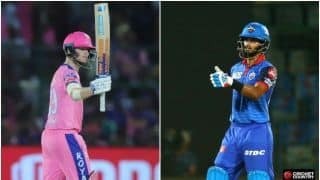 Invited to bat, Smith had partnered Jos Buttler in an alliance of 72 runs for the second wicket, which helped Rajasthan overcome the early wicket dismissal of Ajinkya Rahane, but KKR pulled things back phenomenally towards the end giving away two boundaries and one six in the last five overs. Rahane helped himself to a boundary before Prasidh Krishna cut short the skipper’s innings. 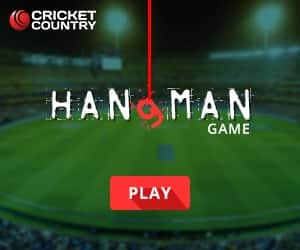 There onward, KKR spinners tied Rajasthan down with some disciplined bowling with legspinner Piyush Chawla and Narine hardly giving anything away. 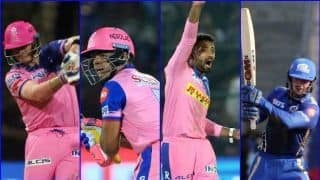 Smith and Buttler played out the Powerplay carefully, in which Rajasthan had just 28 runs to show, the second-lowest score this season. 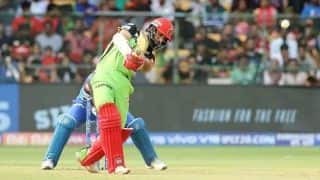 Rajasthan had gone four overs without a boundary and even though Smith broke the drought in the eighth over, it was Buttler, who set the tempo. Buttler, who had declared his intentions with back-to-back fours off Prasidh initially before being forced to quieten up, targeted the spinners. Out came the reverse sweeps and Kuldeep Yadav and Narine were taken for a boundary each. Another debutant Harry Gurney was launched over deep square leg for Rajasthan’s first six in the 12th over, before a repeat saw him hole out. Four overs later, Gurney picked up his second getting Tripathi. 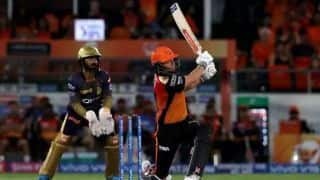 Rajasthan could have lost the plot considering their middle-order blushes but Smith ensured the innings maintained sanity. Like Buttler, Smith was kept quiet too, before pulling the trigger to give Rajasthan a move on. 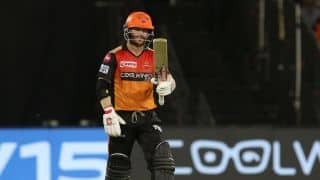 Having gone four overs without a boundary, Smith treated Prasidh with two boundaries off three balls, the second of which brought his maiden IPL half-century of the season. Barring a crunching six by Smith off Narine in the 18th over, KKR hardly bowled boundary balls. Prasidh overstepped and even sent down a beamer in the penultimate over, but on both occasions, Stokes failed to make most of the free-hits. Gurney followed it by bowling a fine final over, using his change of pace to limit the batsmen to four singles and a boundary. 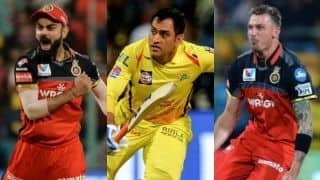 Brief Scores: Kolkata Knight Riders 140 for 2 (Chris Lynn 50, Sunil Narine 47; Shreyas Gopal 2 for 35) beat Rajasthan Royals 139 for 3 (Steve Smith 73*, Jos Buttler 37; Harry Gurney 2 for 25) by eight wickets.